With no end to Andrew Luck’s absence in sight, the Indianapolis Colts are turning to Jacoby Brissett to start Week 2. 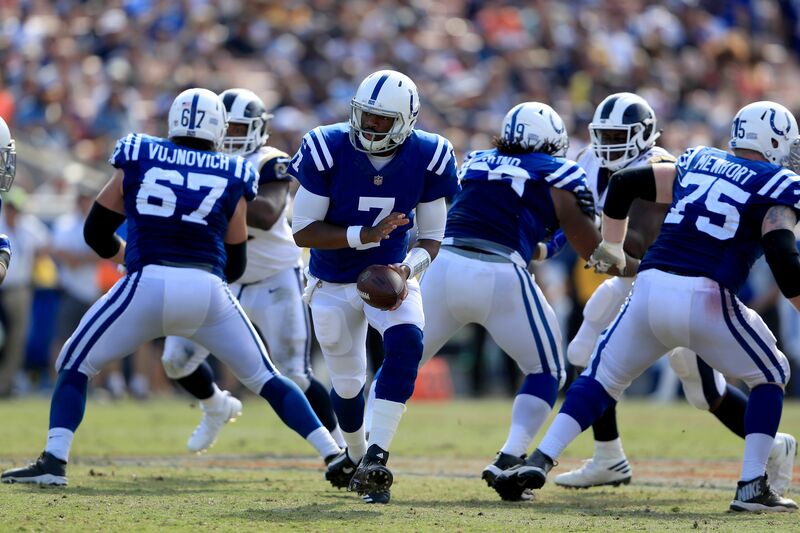 The Indianapolis Colts may have the most talent-bare roster in the NFL, and the absence of quarterback Andrew Luck exposed that yet again in a 46-9 Week 1 loss to the Los Angeles Rams. Scott Tolzien threw a pick-six on his first pass attempt, and he was eventually replaced in the game by recently acquired Jacoby Brissett. Tolzien did absolutely nothing to earn another start last week, now or ever again, and he shared practice snaps with Brissett this week. So it’s not at all surprising, according to Ian Rapoport of NFL Network, that Brissett will get the starting nod Sunday against the Arizona Cardinals. Brissett was acquired from the New England Patriots for wide receiver Phillip Dorsett on Sept. 2, so he’s being pressed into starting duty with limited work in the Colts’ offense. He completed two of three passes for 51 yards in Week 1, for what that’s worth late in a blowout loss, but Brissett offers an element of mobility, athleticism and residual upside Tolzien doesn’t. Brissett started twice (1-1 record) and played in three games as a rookie for the Patriots last year, during Tom Brady’s suspension. Overall he completed 61.8 percent of his passes (34-for-55) for 400 yards, along with 83 rushing yards and a touchdown, but there was some question whether he would even make New England’s 53-man roster coming out of the preseason. With no apparent end in sight to Luck’s absence, the Colts have nothing to lose by seeing what Brissett has to offer in Week 2 and probably beyond. If he manages to help win a game or two that’s a nice bonus, but a healthy Brissett has to be Indianapolis’ starting quarterback until Luck can return.